Quartered and fried tortillas are the foundation of this classic Mexican breakfast dish. 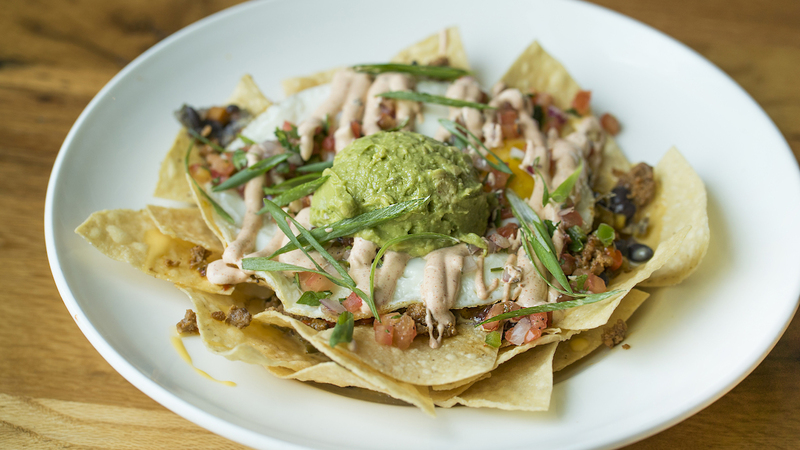 The crunchy triangles are simmered with a salsa or mole and then topped off with a variety of toppings – such as avocado slices, refried beans, and eggs – and a flurry of condiments. It’s comforting to the core and super satiating. 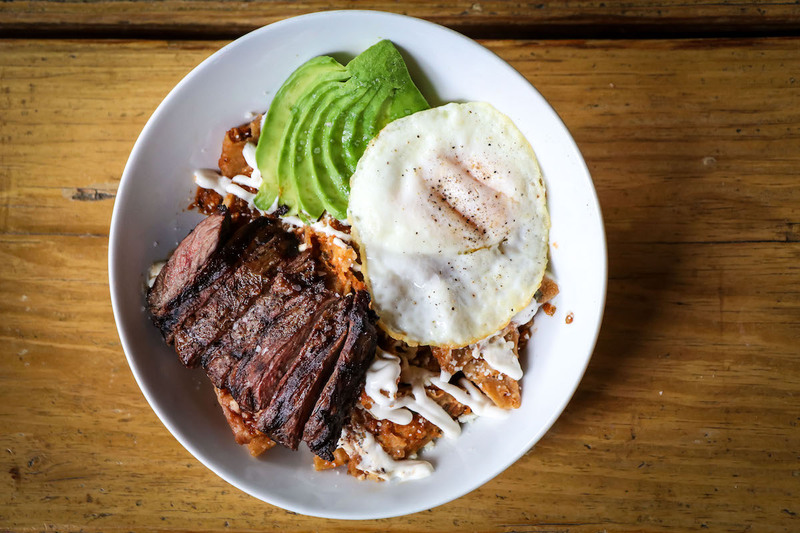 Trust us when we say these top restaurants for chilaquiles are the perfect place to kickstart your day. Quack addicts will love this version. 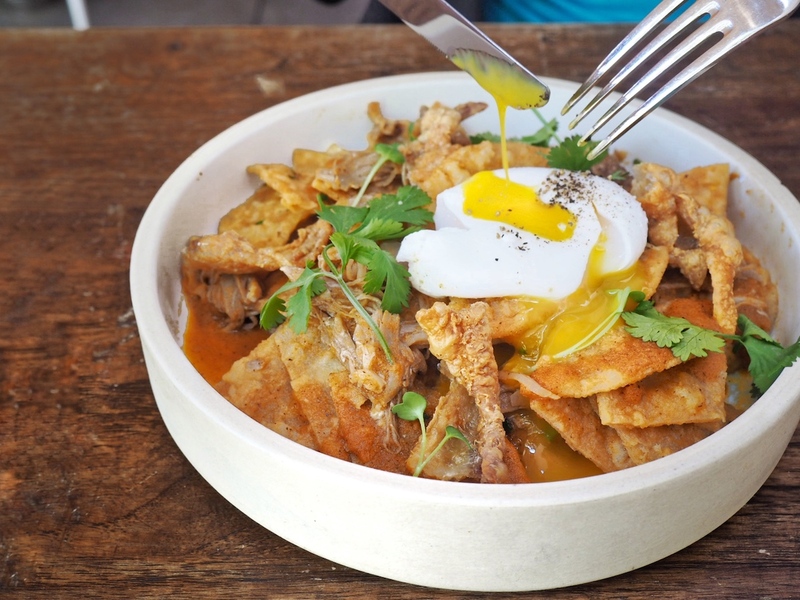 Classic chilaquiles are topped off with duck confit galore, plus a poached egg to pop and swirl into the mix. Available during brunch on Saturday and Sunday from 10AM–3PM. Make a reservation at Trace. They follow the K.I.S.S. rule: Keep it simple, silly. 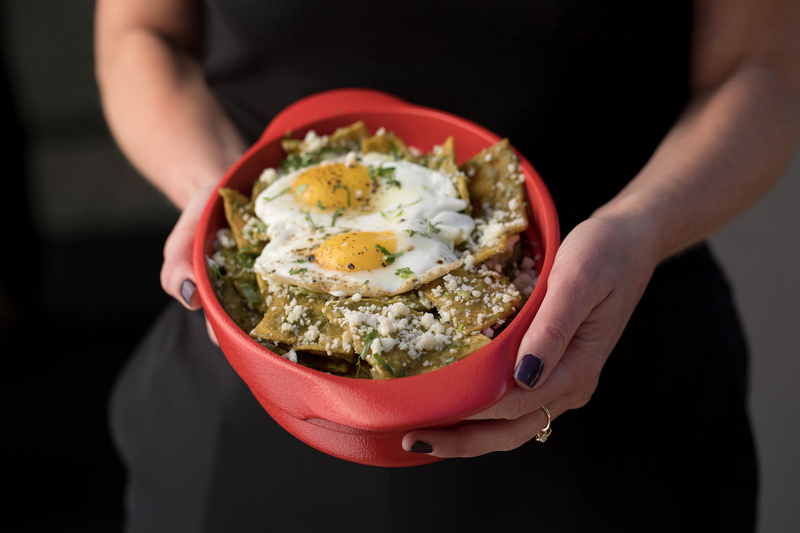 Corn tortillas come dressed up with green chile salsa, fried eggs, and cojita cheese. Available daily for breakfast and for Sunday brunch. Make a reservation at Sky & Vine Rooftop Bar. 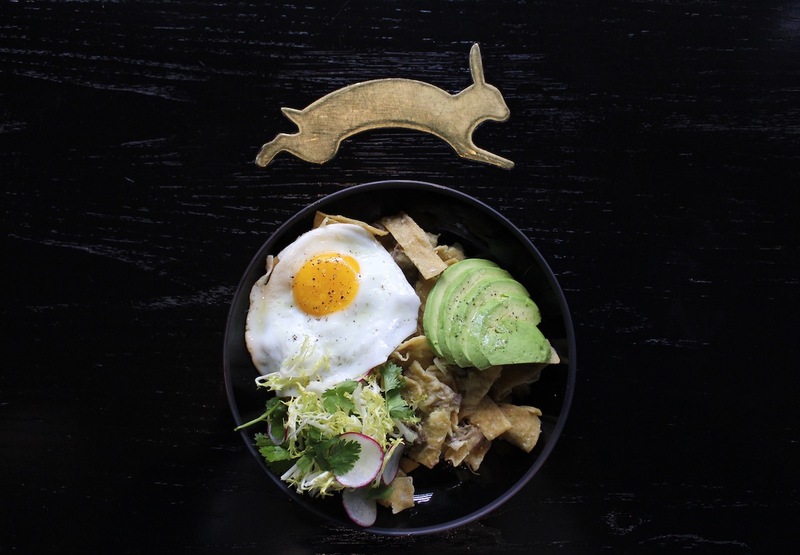 Matchbox – Chinatown, Washington, D.C.
Get your brunch on with these spicy chilaquiles. 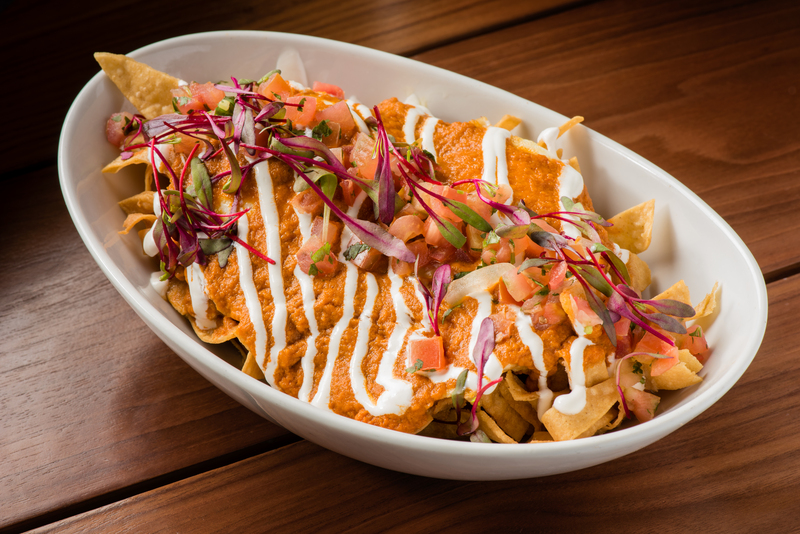 They’re graced with chorizo, pico de gallo, green chile salsa, black beans, and chipotle sour cream. Picante y sabroso (Spicy and tasty)! Make a reservation at Matchbox – Chinatown. Oh my heart! These charming chilas come with two eggs just the way you like them, a fan of sliced avocado, a sprinkling of cheese, and switchbacks of sour cream. You’ll <3 them. Make a reservation at Mi Corazon. Rah-rah for Baja! 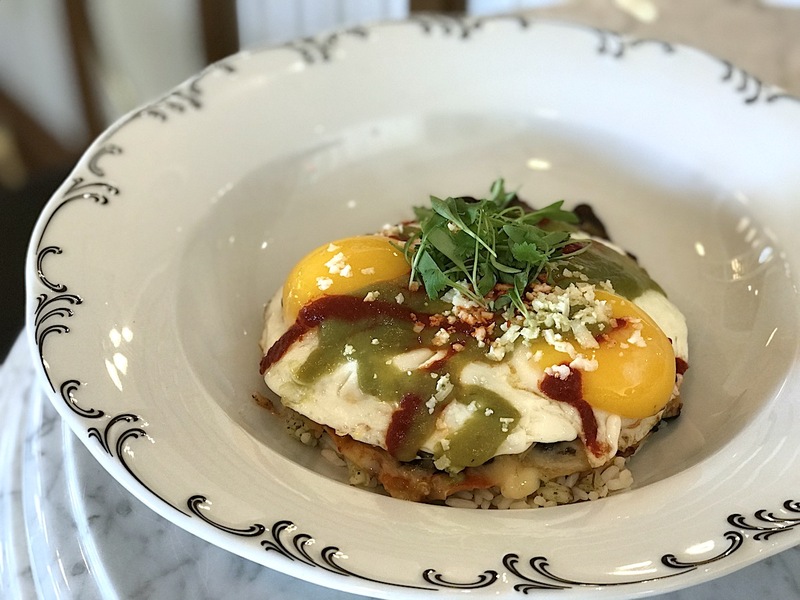 Taking inspiration from the peninsula bordering the Pacific, these ‘quilas are smothered in red chile sauce and served with an over easy egg, crema, sliced avocado, queso fresco, and cilantro. Available during brunch on Saturday and Sunday until 2PM. Make a reservation at Blind Burro. 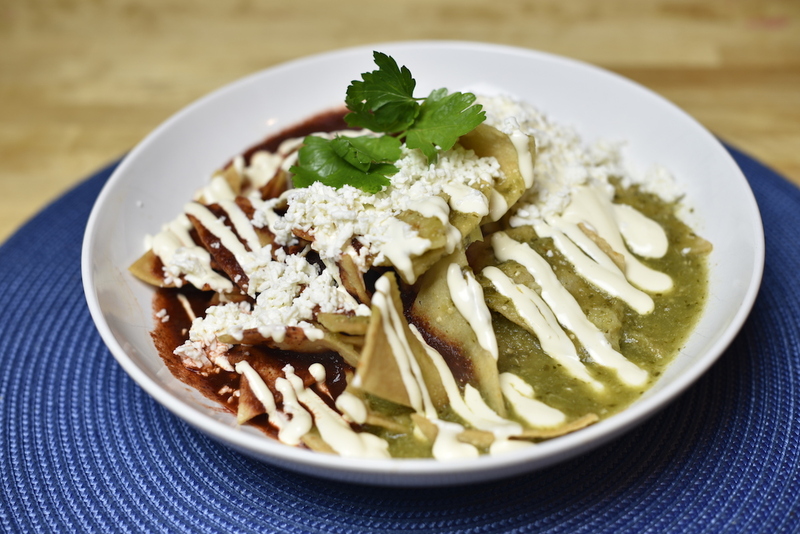 Chilaquiles come with your choice of salsa verde or salsa de chile guajillo, along with crema and crumbled queso panela. Fried eggs, chicken, and avocado are optional but recommended. Available during brunch on Saturday and Sunday from 11AM–2PM. Make a reservation at El Naranjo. 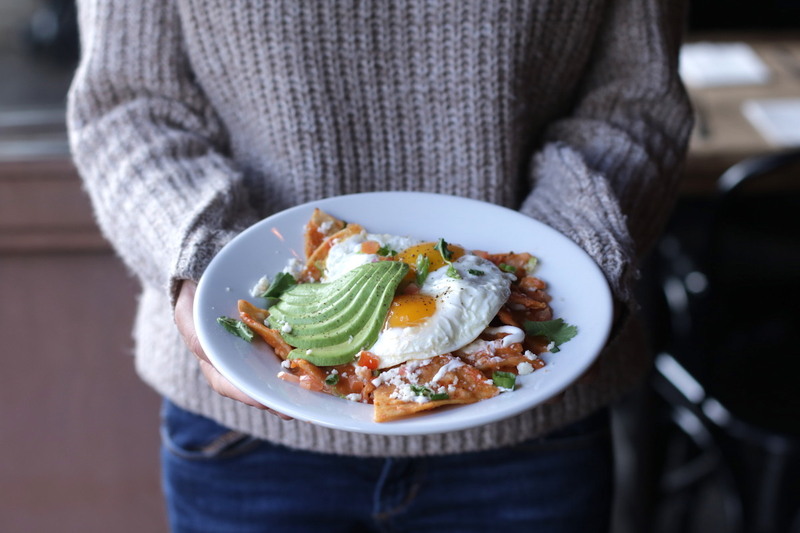 How do you make chilaquiles even better? Add pork carnitas into the mix! Plus tomatillo salsa, cheddar cheese, black beans, guacamole, and a fried egg. Make a reservation at Bud & Marilyn’s. 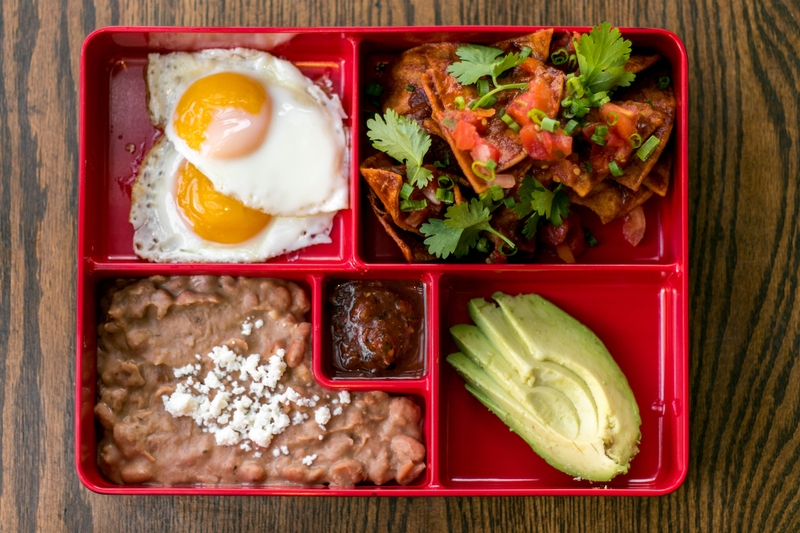 Chilaquiles just got bento-ized. Compartments are filled with crispy corn tortillas, salsa roja, queso fresco topped pinto beans, two sunny siders, and avocado. Available during brunch on Sunday. Make a reservation at Bashi. Why mess with perfection? Crispy tortillas are lavished with red salsa and crowned with asadero cheese, crema, and a fried egg. Super straightforward and super tasty. Make a reservation at Lona Cocina y Tequileria. Suckling pig is brined, marinated in achiote seasoning, quick smoked over the grill, and roasted in a banana leaf. The tender meat is tossed with fried tortilla chips and tomatillo mole, and then garnished with queso fresco, avocado, cilantro, frisée, and a fried egg. You’ll go hog wild for it. Make a reservation at GT Prime Steakhouse. This winning bowl of chilas features a robust mix of chorizo, black beans, tomatillo salsa, ancho chili sauce, cojita and pepper jack cheese, and cilantro rice. An egg done sunny side completes the power breakfast. Available during brunch on Saturday and Sunday. Make a reservation at Addie’s. 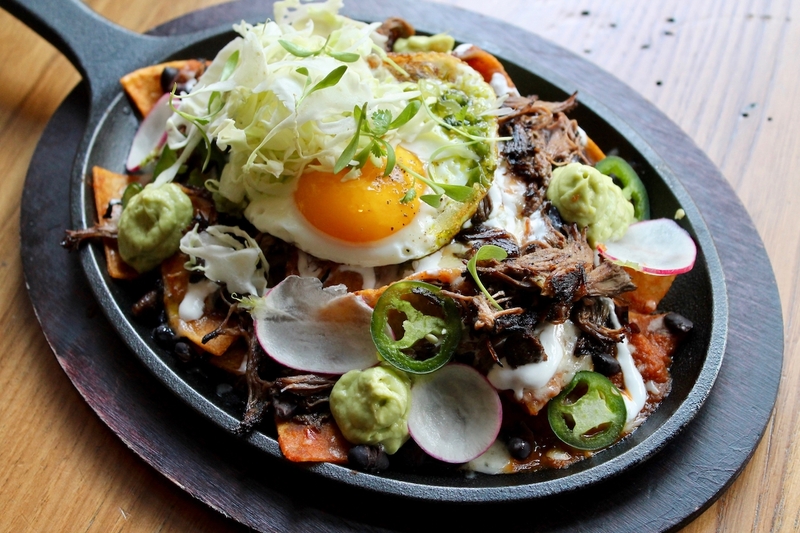 Have you been to any of these top restaurants for chilaquiles? Let us know here in the comments or over on Facebook, G+, Instagram, Pinterest, or Twitter. And, remember to snap + share your #dishpics with us on Instagram for a chance to win in our weekly giveaway. Photo credits: Paige Greene (Sky & Vine); Bondfire Media (Bud & Marilyn’s); Terranea (Bashi); RM Studio Corp. (Lona Cocina y Tequileria); BOKA Restaurant Group (GT Prime Steakhouse).